Should I call an estate sale company after I try to have a sale myself? Well I am sure you all want to know the why so I will tell you. I understand trying to handle liquidating your personal property yourself. But having an estate sale is not a DIY type of job. You would not tackle building your house, right? It will save you money, right? My question is, how much is your time worth? How much do you know about advertising personal property? How much do you know about the market? Do you know what is selling and what you might want to give away? First, it will save you money. Maybe, it depends on how much your time is worth. Second, do you know how to advertise your items. Well most people will say Craiglist or Facebook. Ok those are two avenues but there are more ways that get out to the people interested in estate sales. Third, what do you know about the market. There are items that are selling and items that are not in our industry. You might price something really cheap or you might have items overpriced. Also are you willing to haggle with people about your items that you hold dear. So, what if you are reading this and say well we already had a sale but we still have items left and need a company to get rid of the rest. Then call a clean out company and pay to have everything hauled off. Estate sale companies accept taking sales based on the quality and quantity of items in the home. If you have already had a sale then you have probably sold the good and unusual items that would entice an estate sale company to take your sale. The items that are left have already been picked over by a set of buyers. Why would those buyers come back to the sale in a couple weeks? You are wanting an estate sale company to come in and sell the leftovers. That does not set the company up for success and puts them at a disadvantage. Sometimes you have to let the experts do the jobs they are experienced in performing. The first call you need to make when needing to liquidate personal property is an estate sale company. They will help guide you on the steps needed to take to liquidate those items. Most estate sale companies are reputable and will let you know honestly what needs to be done. We pride ourselves in taking the stress off of our clients. 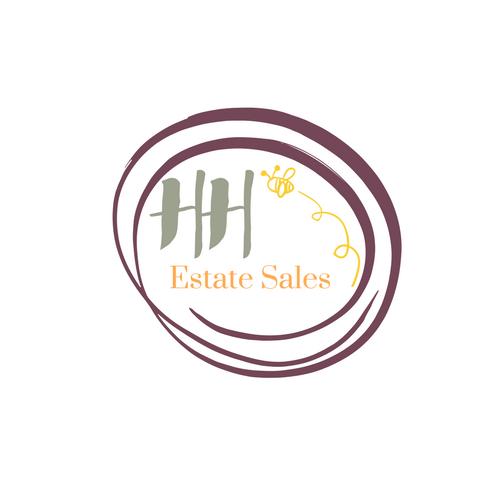 We offer full service estate sale services. This covers from start to finish services and leaves the home completely empty and ready for the next stage. We understand that the process can be stressful but we really try to help with that. Overwhelmed and Stressed out!!! Who can help me? We come across this all the time. When a family member passes away, senior care assistance needed, or downsizing the stress level can be great. The worry of how you will get rid of all your families personal property is a daunting task. You have a life you are living with a family to take care of. Your siblings are out of state and not able to help. You are questioning what to donate, boxing up items and throwing things away. Then you come in one day and the house is in complete disarray. That is when an Estate Sale Company can help. I tell all my clients that we take all the stress out of the process. We provide services that take care of staging, pricing, determinations, holding the sale, advertising, clean out services and we also can clean the house. We help our clients from start to finish and tailor our services to what our client needs and want. We at A Honey Hole Estate Sales can help relive the stress of liquidating personal property. All it takes is making a phone call to set up an consultation to discuss our services and how we can help. I cannot tell you how many appointments I go on and they have cleaned out all the "trash" from the house or they took all the clothing to the local charity. People do not realize that everything is worth something to the right person. Let's talk about clothing. Vintage clothing is in style and can go for big bucks. Look up vintage band t-shirts. You will be shocked to find out what they are going for online. We had an estate sale a couple months ago and found a lot of vintage clothing in the attic. Names like Lillie Rubin and Neem Kahn to name a couple. We found some nice clothing. 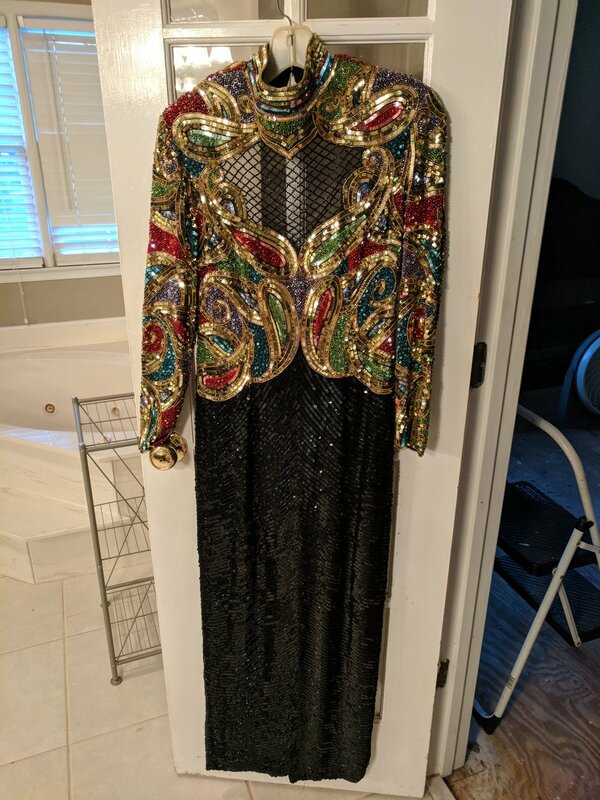 The one gem was a Neem Kahn Full Length Sequined Evening Gown from the 1980's. New they go for $3,000 to $8,000. It was in very good condition, so we asked $750 for it. This goes to show that if you clean out yours or your loved ones closets you could be throwing out hundred of dollars in sales. Now lets talk about the trash. "One Mans Junk is Another Mans Treasure." What you think is junk and needs to be thrown away might be the exact thing someone is looking for. I cannot tell you how many times when I was an Estate Sale Buyer that I would purchase the most random things. I have purchased pressure cooker jigglers, old broken lamps, old water can spouts and tons of everyday useful items. Like half bottles of laundry detergent, hand soap, WD-40, and the list goes on. Bed linens, towels, and sheets are very sell-able as well. People like to save money and this is a great way for some. All of the small items add up in the end. You can have all the big furniture in the house but if you do not have smaller items to fill in the sale it will not go well. People want a variety when shopping at an Estate Sale and we give it to them. So, please do not throw anything away before you call an Estate Sale company. The more stuff you have the better. We love this business because we love to hunt treasure and the more we find the more we dig. So let us dig. If you are ever in need of an Estate Sale and are in the metro Atlanta area please call me for a consultation. The consultation is free and I can let you know how we can help you in this time of need. We take the stress out of liquidating personal property. We perform all sized Estate Liquidations.